The United Nations Security Council is continuing its consideration of candidates for the next UN Secretary-General, with the next “straw poll” taking place on 5 August. Backed by public debates and online campaigns, this selection process has been the most transparent and accessible yet – driven in part by tireless efforts from civil society . Have you read? 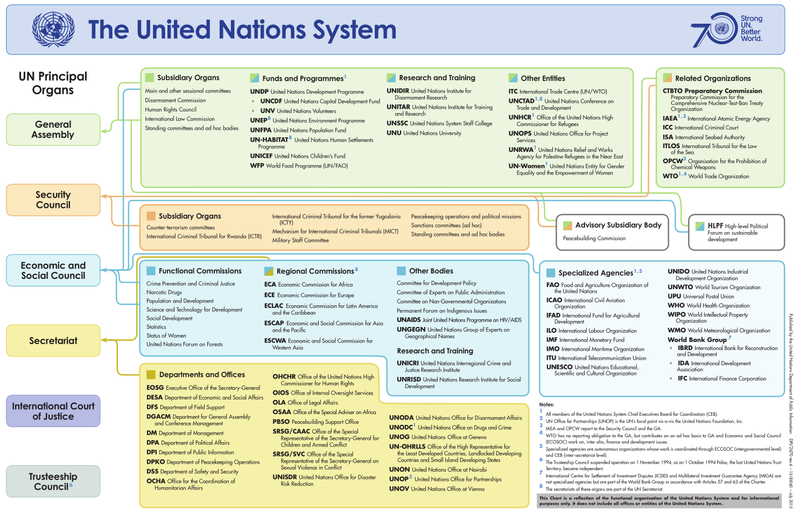 What does the UN chief actually do? Sustainable Development Goals: what they are Will a woman finally head the UN? In 2006 the selection process included only one woman in seven candidates. This time round, half the current candidates are women. There is no shortage of talent. Yet the initial signs are not promising. The Security Council’s first straw poll on 21 July saw only one woman among the top five. For me, growing up as an activist under an oppressive dictatorship in Uganda, the UN was a friend to those of us who fought our way to freedom, as it was for the millions who joined decolonization struggles in the African continent. Today, the Sustainable Development Goals (SDGs) and Paris Climate Agreement agreed in 2015 are testament to the UN’s global role and reach, and a legacy of Ban Ki-Moon’s outstanding leadership. Yet the UN is failing to meet its founding tenets to “save succeeding generations from the scourge of war” and uphold human rights for those who are powerless. For the UN’s new leader, reversing this sounds near-impossible amid protracted conflicts, a lack of respect for international humanitarian law and a massive global displacement crisis. Fulfilling the pledge to “ leave no one behind ” is perhaps the biggest political challenge. The new secretary-general must grapple with the spiralling crisis of extreme economic inequality that keeps people poor, undermines economic growth and threatens the health of democracies. And a low carbon pathway will not happen without strong UN leadership to drive drastic reductions from the richest in our societies, whose lifestyles are responsible for the majority of them. A feminist woman secretary-general would, by definition and action, ensure gender equality is put at the heart of peace, security and development. In doing so, she could truly champion the UN’s core values of human rights, equality and justice. Such an appointment – far too long in coming – would fulfill promises given by world leaders 21 years ago, at the historic UN Fourth World Conference on Women in Beijing , to nominate more women to senior posts in the UN. In the past decade, women have filled less than a quarter of senior roles at the organization, according to UN Women. 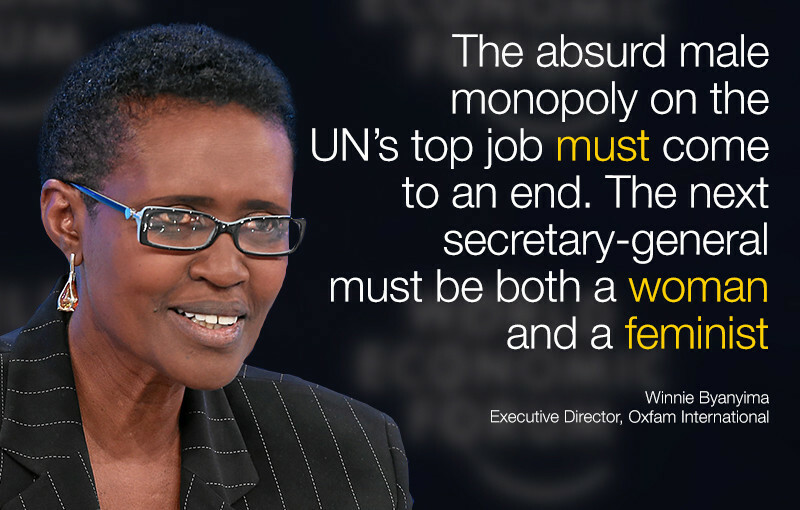 Shockingly, as recently as last year, women made up less than 17% of under- and assistant secretary-general appointments . A new feminist UN chief will ensure that more women serve as heads of UN agencies, peacekeeping missions, diplomatic envoys and as senior mediators who collectively can strengthen the global peace and security agenda. Without women’s equal access to positions of decision-making power and a clear process to get there, gender equality, global security and peace will never be realized. And it will take a female feminist secretary-general to advance the bold, comprehensive women’s human rights agenda in intergovernmental forums, which is needed to address the multiple and intertwined challenges facing us in the 21st century. Only a woman feminist secretary-general can ensure financial support reaches women’s rights movements – proven to have made progress on addressing the challenges of violence against women and girls, climate change, conflict and economic inequality. They can ensure that feminist and civil society movements are not just observers in policy-making, but active and equal participants. She must also reimagine the role of the UN in a world radically different to the one it was set up to serve, and be bold in leading its reform. The UN must be made more inclusive, accountable, democratic, effective and reflective of a world in which political and economic power has shifted. And it must be able to protect its unique role as a genuinely multilateral institution that acts in the interests of all people and all countries. Integrity must not be undermined by the influence of private-sector actors and money. The Security Council, particularly the five permanent members , must choose change and progress over continuity. They must have the foresight to ensure they listen to the voices of the public and select the secretary-general that the world and the UN need today.